View list of past Alumnus of the Year honorees. 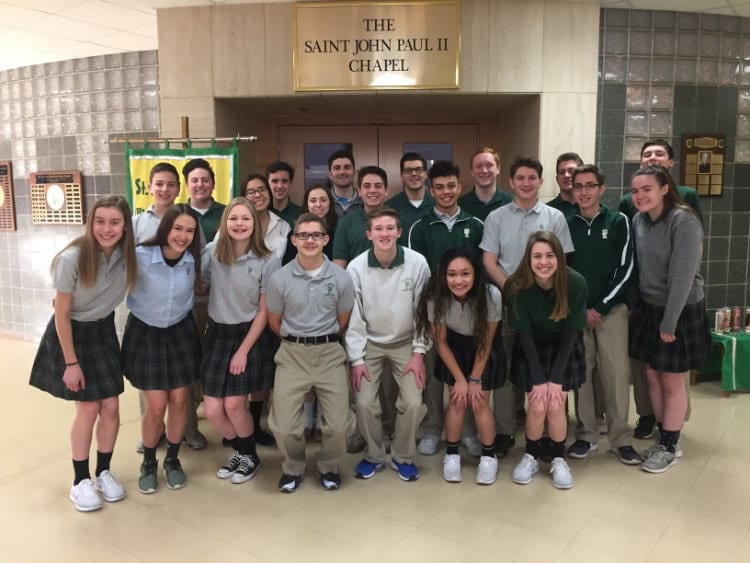 St. Edward Central Catholic High School has named Brian P. McGuire of Bartlett its 2018-19 Alumnus of the Year. He will be honored at the school’s 30th Annual Tidal Wave gala on April 6, 2019. 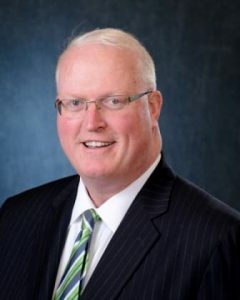 McGuire, president of Associated Equipment Distributors and Hanover Township supervisor, is a 1988 graduate of the college-preparatory, Catholic high school in Elgin, Ill. He was chosen through a nomination process that evaluated how alumni have lived the school’s values of faith, education, service and leadership. Called a “consummate professional” and a “dedicated husband and father,” McGuire has been known to put the needs of others first in his roles of elected official, community volunteer and family man. Through his 25-year career with Hanover Township, first as a trustee, then as clerk, and now as supervisor, he has been instrumental in establishing programs that benefit the most vulnerable. An open-gym program he helped establish in the 1990s provides students ages 5 – 18 the opportunity to take part in free recreational activities, from sports to arts and crafts. A food pantry and senior nutrition program provides tens of thousands of meals to township residents in need. His work helped gain recognition for Hanover Township last year, where the township, McGuire and two other township employees received awards from their peers at the Township Officials of Illinois conference. 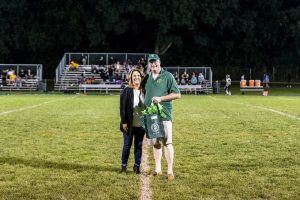 “Brian is looked up to by the citizens of the township as someone who has a caring heart and a willingness to assist families in an exceptional manner,” said Hanover Village President Rodney S. Craig. McGuire has also served his community as a firefighter and charity board member and lends his time to raise funds for organizations supporting emergency services, veterans and members of the armed forces. He also continues to live his faith through his commitment to the Knights of Columbus and his local parish. 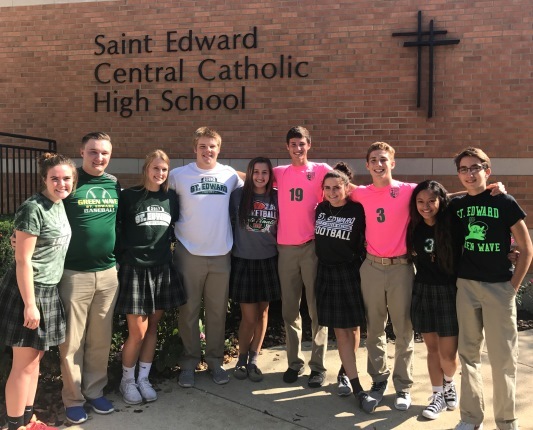 It was at St. Edward Central Catholic that McGuire formed a sense of faith, family and community involvement that guides his life today. “Brian is a man of deep compassion, strong convictions, and unwavering faith, and these values are apparent in everything he does,” said Dave Baffa, executive coordinator of operations at Whole Foods Market Midwest. “I think it’s important for kids to be exposed to our Catholic faith. This faith becomes the basis for an ongoing relationship with our Father through the sacrifice of his Son. 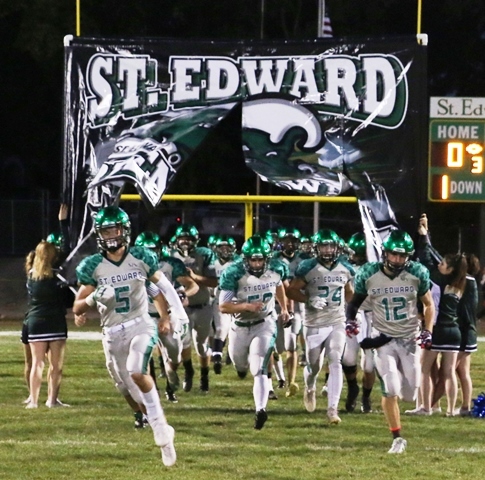 In a world of YouTube, video games and social media, it is now more important than ever that schools like St. Edward exist to counter balance and assist in giving kids a place where they can grow, not just academically or athletically, but spiritually as well,” McGuire said. Planning a reunion? Let us know by emailing Donna Lake, development director. 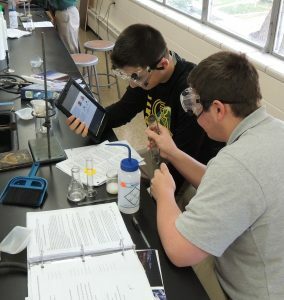 Sign up for the Monarch E-Newsletter. Email jgudino@stedhs.org. 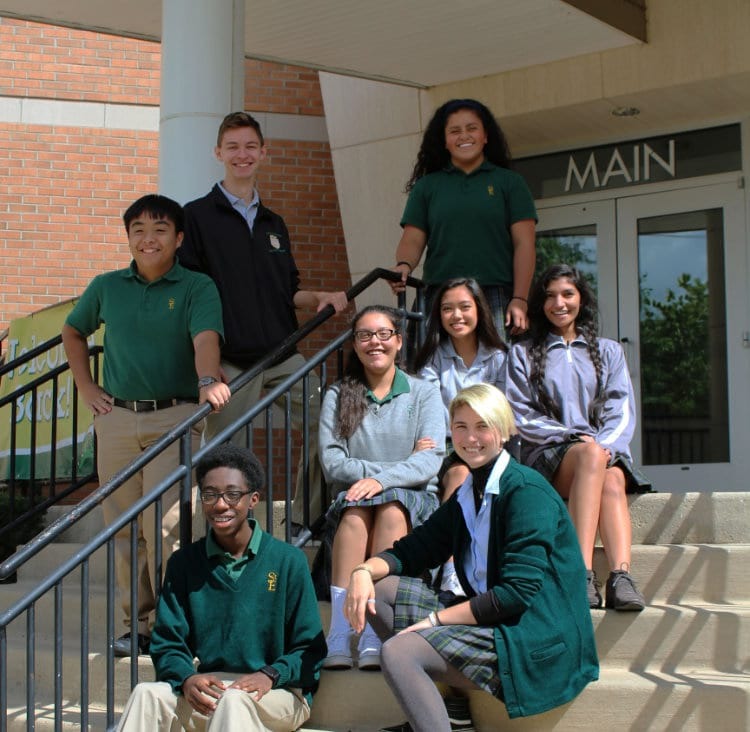 ALUMNI OF ST. EDWARD HIGH SCHOOL, we are interested in your life post-high school! We would love to see news of college graduations, new jobs, trips, retirements, marriages and new babies (future Green Wave)! 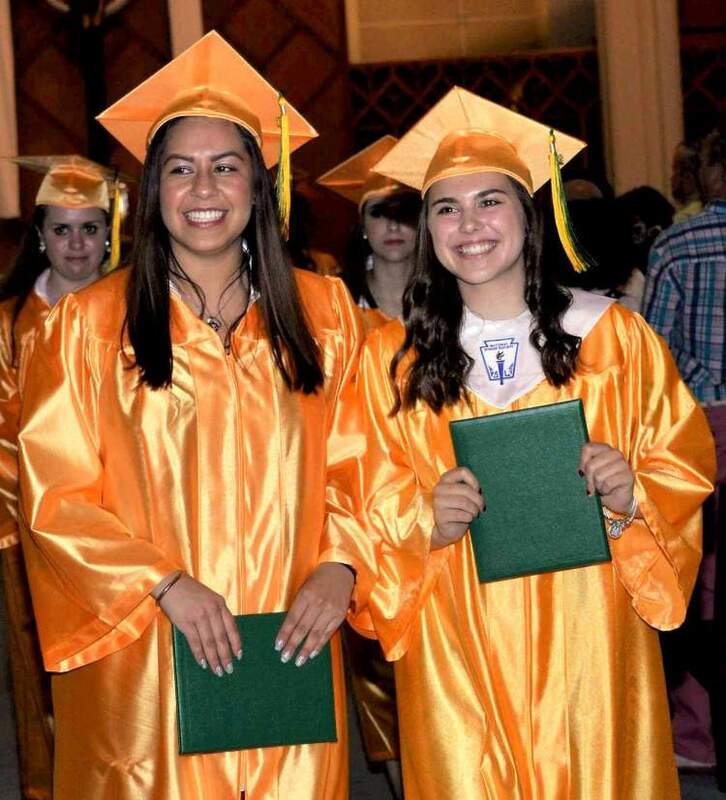 Please send your good news to Joyce Gudino, at jgudino@stedhs.org. Photos are encouraged!! !